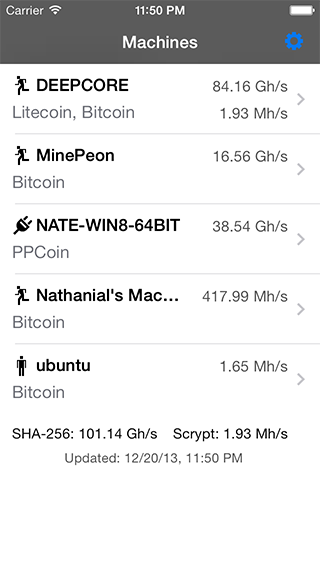 MultiMiner is a graphical application for crypto-coin mining on Windows, OS X and Linux. MultiMiner Your Coins. Your Pools. Your way. 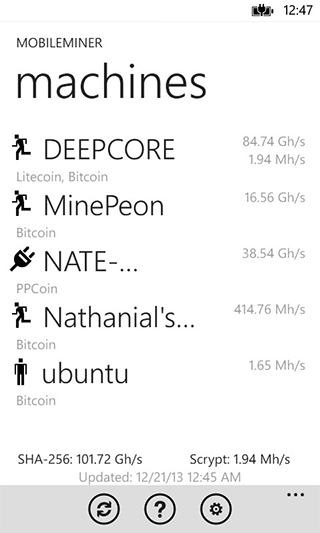 MultiMiner is a graphical application for crypto-coin mining on Windows, OS X and Linux. MultiMiner simplifies switching individual devices (GPUs, ASICs, FPGAs) between crypto-currencies such as Bitcoin and Litecoin. MultiMiner uses the underlying mining engine (bfgminer) to detect available mining devices and then presents a user interface for selecting the coins you'd like to mine. 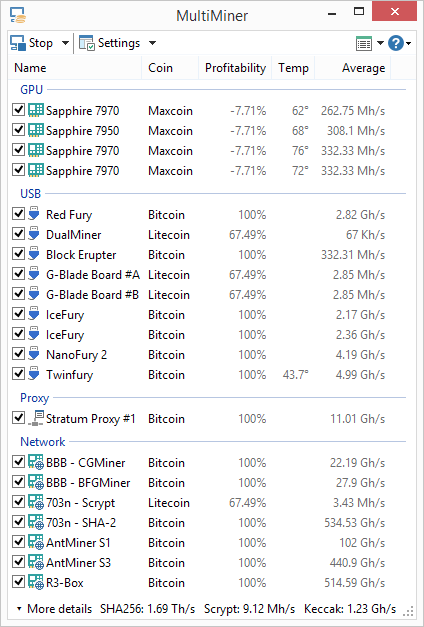 MultiMiner also offers several views, allowing you to display as much or as little information as you like. 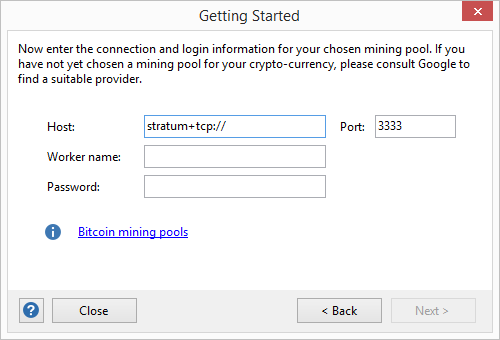 For new users, MultiMiner includes a Getting Started wizard that walks you through selecting an engine, a coin, a pool, and configuring MobileMiner. MultiMiner will automatically download and install the latest version of bfgminer, making it simple for the new user to get started. 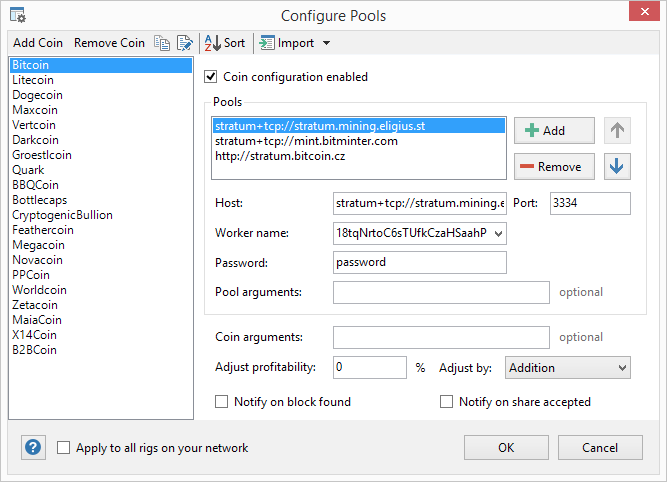 You can then use the Configure Coins dialog to setup each coin that you would like to mine along with their pools, including support for load balancing. 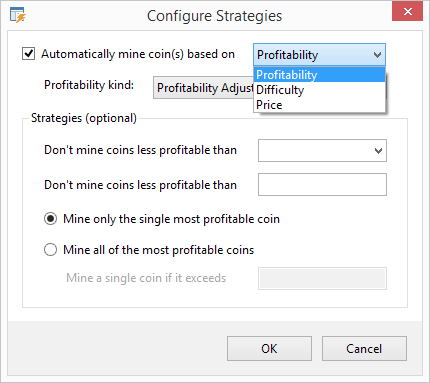 MultiMiner supports automatically mining the most profitable coins based on a set of configurable strategies. Profitability information is updated regularly from CoinChoose.com. 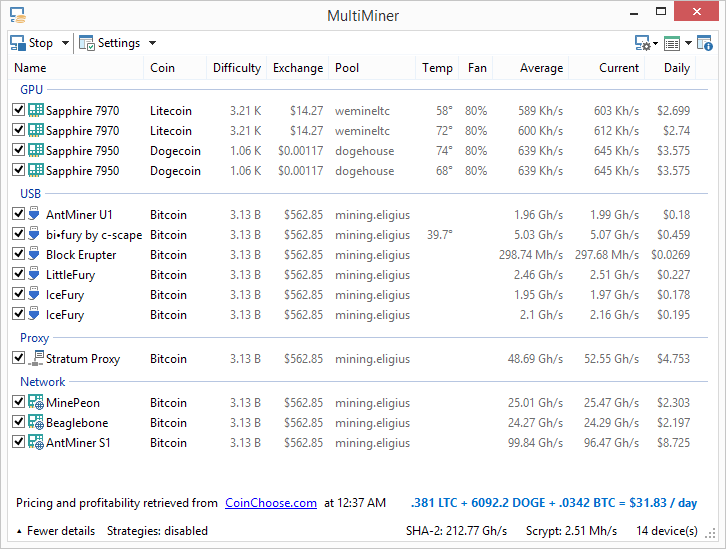 MultiMiner also supports features such as relaunching crashed miners, starting with Windows, minimizing to the notification area, and mining on startup. 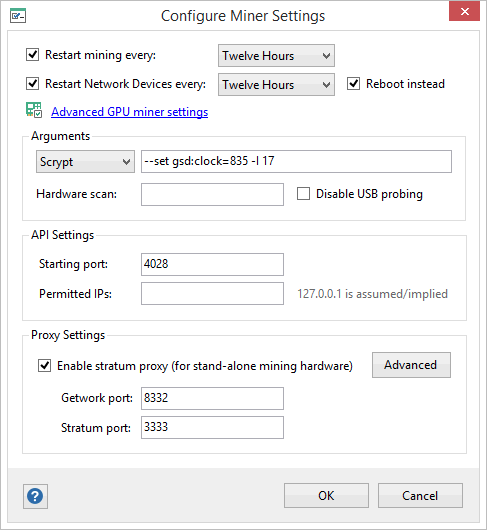 You can also use the interface provided by MultiMiner to adjust advanced settings such as API white-listing, disabling GPU mining, and automatically adjusting mining intensity based on the computer's idle time. 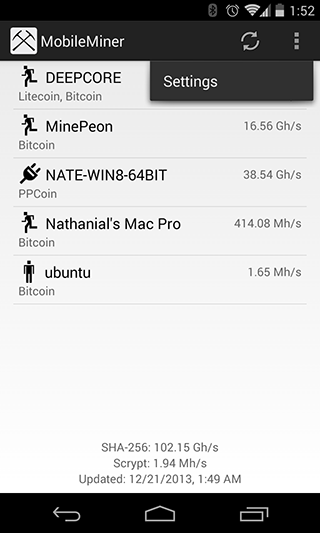 Finally, MultiMiner supports MobileMiner, an open API with mobile apps for remotely monitoring and controlling your rigs. 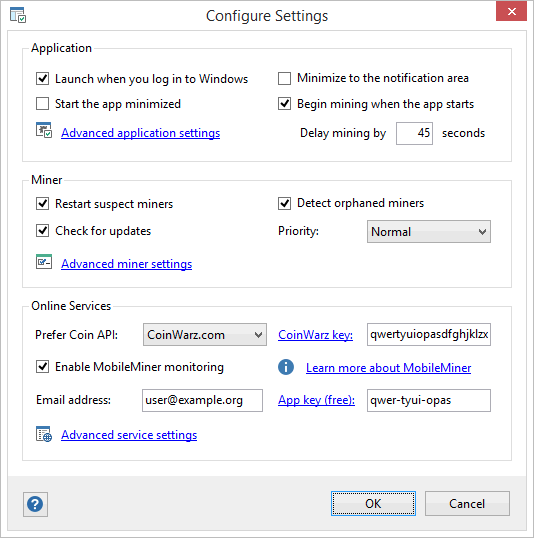 By entering your MobileMiner email address and application key in the Configure Settings dialog, you will be able to remotely monitor and control your rigs without having to open any firewalls or forward any ports. Downloads You can download installers and zip files for Windows, OS X, Linux and Mono on the GitHub Releases page.